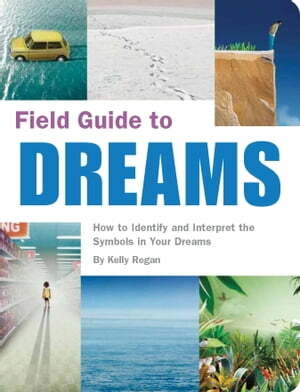 Collins Booksellers - Field Guide to Dreams by Kelly Regan, 9781594748448. Buy this book online. At last, a field guide to identifying and interpreting dream symbols, from falling to flying! Dreams can be mysterious, exhilarating, and terrifying—but they don’t have to be confusing. With *Field Guide to Dreams, *you’ll unravel the hidden meanings behind these mysterious subconscious messages. For example, you may find yourself naked in front of your high school classroom during a time of great change—perhaps you’re feeling insecure about a decision you recently made. Of if you find buried treasure in a dream, you may have hidden talents or knowledge. Organized by dominant symbol (animals, caves, hospitals, teachers, and so on), each full-color image refers to a complete dream description. This book gives you clues to a dream’s meaning and explains the significance of having the same dream time and again. You’ll hear what Freud and Jung might say about a particular vision and discover a dream’s sometimes strange, often illuminating, historical and cultural context. With *Field Guide to Dreams *at your bedside, you’ll never wonder if that cigar was just a cigar!